Japanese riders have always had something special in the world of motorcycle racing. It’s inevitable to remember riders such as Norifumi Abe, Tadayuki Okada, Noburu Ueda, Tetsuya Harada as soon as two-wheeled heroes from the land of the rising sun are mentioned – but as strange as it seems, none of those names were ever engraved on the winner’s trophy at Motegi in the premier class. 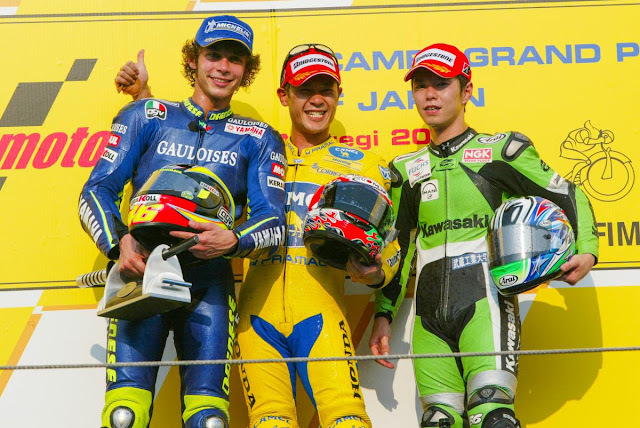 The only home hero to have won there is Makoto Tamada - who is also the most recent Japanese winner in MotoGP™. 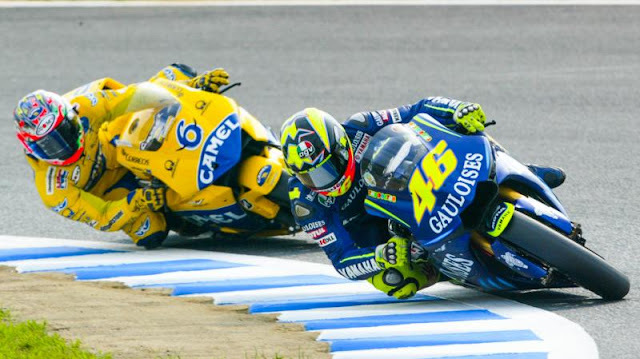 The man he overcame to take that honour in 2004 was none other than Valentino Rossi, the reigning Champion then having debuted with Yamaha at the start of that season. The race began with some chaos as a multi-rider crash in Turn 1 saw Loris Capirossi and John Hopkins crash out, with Max Biaggi, Colin Edwards, Kenny Roberts and Nicky Hayden also caught out in the incident. From then on, it was a two horse race – with Tamada able to close in on race leader Rossi and attack for the lead. Another home hero also took to the rostrum that day, as Shinya Nakano crossed the line third and took Kawasaki’s first podium in MotoGP™ - 23 years after the marque was last on the podium in the GP paddock courtest of South African Kork Ballington in 1981 at Assen.